John Frazzini brings more than 20 years’ experience as a cyber-risk innovator to his role as president and CEO of SSIC. John combines his rich and varied risk experience—including cybercrime investigations, cyber threat intelligence, artificial intelligence-based security applications, and cyber-attack simulation technology—with his entrepreneurial drive to bring forward new concepts that address today’s ever-changing cyber challenges. Prior to embarking on his entrepreneurial journey, John served as a federal law enforcement officer. At the U.S. Secret Service, John was responsible for the agency’s Washington D.C. Electronic Crimes Task Force, as well as the development of the agency’s nationwide Electronic Crimes Task Force as mandated by the USA Patriot Act. During his government service, he was actively involved with many national security initiatives related to emerging physical and cyber security technologies. 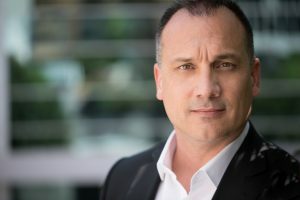 As an investigator for the U.S. Senate Committee on Homeland Security and Governmental Affairs: Permanent Subcommittee on Investigations, John focused on emerging Internet-based crimes, systemic government program fraud, and criminal exploitation of technology. He is also a senior fellow alumnus of the GW Center for Cyber and Homeland Security at the George Washington University in Washington, D.C.